Excess Bodily Injury also covers the person you hit in a car accident, it extends the coverage of CTPL Insurance. Property Damage covers the damage done in any persons property, such as vehicle repair, structural damage or repair to any stationary object like fence. 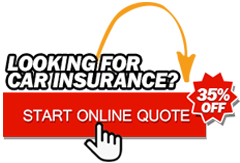 Own Damage refers to your insured vehicle, It covers the repair or replacement of any damage parts in your vehicle. Theft refers to the protection of your vehicle from this criminal act, Once your vehicle declared as cannot be recover, Insurance company will pay you according to the recent market value of you car. Passenger Accident covers the protection of person or passenger inside the insured vehicle, It is the compensation for death or injuries sustained in a vehicle accident. Acts of Naure covers the protection to your vehicle in any event of accident caused by nature, such as Hurricanes, floods, hail, tsunamis, wildfires, earthquakes and tornados.